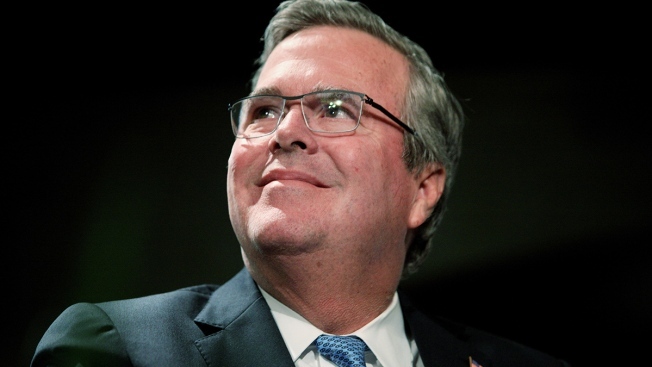 Jeb Bush is the Republican presidential frontrunner for the 2016 race, according to a new CNN poll. The poll found that Bush took nearly 23 percent of the vote, putting him 10 points ahead of the closest GOP competitor, New Jersey Governor Chis Christie, who took 13 percent. CNN reports that Bush's lead is a milestone in the GOP field, as it marks the first time a prospective candidate has reached a lead beyond the poll's margin of error within the last two years. Physician Ben Carson took the third spot with seven percent, while Senator Rand Paul and former Arkansas Governor Mike Huckabee tied for fourth with six percent support.